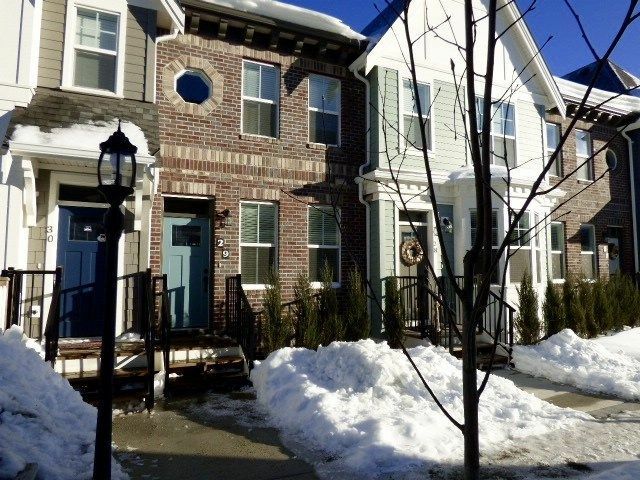 Beautiful Brixton Station Townhome in brand new condition! Located in the heart of Garrison Crossing! within a short walk to Village Market & Recreational facility. This 3 bedrm, 2 full bathrm home features open concept living, gourmet kitchen with hardwood cabinets, stone counters, upgraded appliances, gas range, laminate floors, fireplace & crown accents. Walk out to spacious covered deck/w gas bbq hookup & fully fenced yard with raised garden beds. Rec rm down with ample lighting, wired for surround sound, extra bedrm & bathrm down. Ready for a/c & central vac. Soundproof concrete common walls, Underground parking with direct access to your home. Upscale Townhome living.